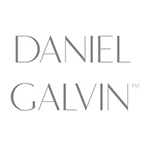 Daniel Galvin OBE is the iconic name behind the eponymous hair studio on the mezzanine floor. With a highly creative cutting team, world-renowned colourists and luxurious hair care products, this is the place to look after your locks. As stylist to Hollywood A-listers, Daniel and his team are as discreet as they are familiar with the glamour of the red carpet, making it the perfect place to prepare for special occasions and everyday hair care. The salon also hosts a Hollywood-inspired Movie Makeover Room, especially designed for those clients who desire a little more privacy and pampering. The salon is located on the mezzanine floor of Corinthia Hotel London, and boasts nine well-equipped stations in an intimate and relaxed setting. For that WOW factor experience we have drawn on our links with the film industry, and created an exclusive Movie Makeover Room – a glamorous private room, discretely separated from the bustle of the main salon. This private room offers our discerning clients a selection of services, including imitation daytime lighting, a 100-strong database of films and an iPad with Wi-Fi and Skype capabilities. Melissa Melissa is a top stylist and colourist with over ten years’ experience in the art. She enjoys both colouring and cutting hair and has a great eye for new trends and styles. A very creative stylist, Melissa specialises in up-dos for brides on their Big Day and is also an expert in Gold Class Hair Extensions and Brazilian Blow Dries. Zlata With over 16 years working as a colourist at the highest level, Zlata joined the Daniel Galvin team and blended her wealth of knowledge with the Daniel Galvin philosophy. Zlata’s talent for creative and inventive techniques in both colour and cutting has led to a loyal happy client base. Her eye for detail combined with her passion for all things hair leaves all her clients with perfectly shaped cuts and glossy colours. Formally trained by Sassoon, Donna is an exceptional make-up and hair stylist. She has worked on an international level and has experience working with top brands, HNW individuals, high profile models, celebrities, fashion shows and magazines. Polished, professional and innovative with a finger on the pulse of today’s image and client expectations, Donna takes a creative and collaborative approach with clients and individuals and is perfect for all your hair and make-up needs at Daniel Galvin. "It’s not just hair, it’s who you are"
This is not just a motto.. It is a belief I’ve engraved onto my core and more than 15 years it’s what drives me to bring out the marvelous results a person asks from me. It motivates me to create something that will bring a smile to a person’s face. Haircut, Blow-dry, Up-do for Red Carpet and Brides, all Colours. I will take any challenge and turn it into style. I’ve been working in lux/fine hair salons in London parallel to my projects in fashion events and collaborations with fashion brands . Multiple participations in fashion weeks and shows , and countless photoshoots.